Saamy 2 (2018) Ramasaamy(Vikram) is a strict police officer who lost his family at a very young age. He tries to avenge the death of his family members and tries to track down the culprits. One fine day, Diya(Keerthy Suresh) meets Ramasaamy and falls for him after he saves her from a gang of goons. As time passes by, Ramasaamy comes to know that Ravana(Bobby Simha) and his brothers were the ones who killed his parents. He begins hunting them down one by one. Will he be successful in this process? What are the hurdles he has to overcome? To know the answers to these questions, you should watch the film on the big screen. saamy movie a cobo back mass entertainer from director hari and chiyaan vikram saamy was sincere police officer and he controls city very well he loss his parents in early age ,in his lfe keerthi suresh was meet in some gang groon ,he rescued her ,and love each other ,on find day villan bobby abd his brothes are only killed her parents he knew that and killed every one in brilliant way ,what is the plan how he killed them is story watch on big screen . SAAMY 2 a sincere cop story ,vikram and keerthi suresh there combination was first time on screen,this movie is a pure cop mass action ,director hari mass elements and how ever audience taking this emotional to watch to still climax ,music and other action aspects help to movie to get a hit ,so over all its an block buster hit. SAAMY ,chiyan vikram was back with action entertainer .here story is RAAMASAMY was strict police officer ,he loses his parents in early age ,in between he meet diya (keerthi suresh ) was he rescued in gang groon,abd both of there in love ,after some time vikram knows the culpits who killed there parents on villans ,he planned and killed them ,how he pllaned and killed them, watch on big screen . vikram and director hari combo pack movie .SAAMY a sincere cop story,keerthi suresh was sharing screen with vikram ,director hari was super writer in this cop storys if action entertainers so here he was directed this mass masala entetainer ,so hope movie will be a huge sucesss for whole team. 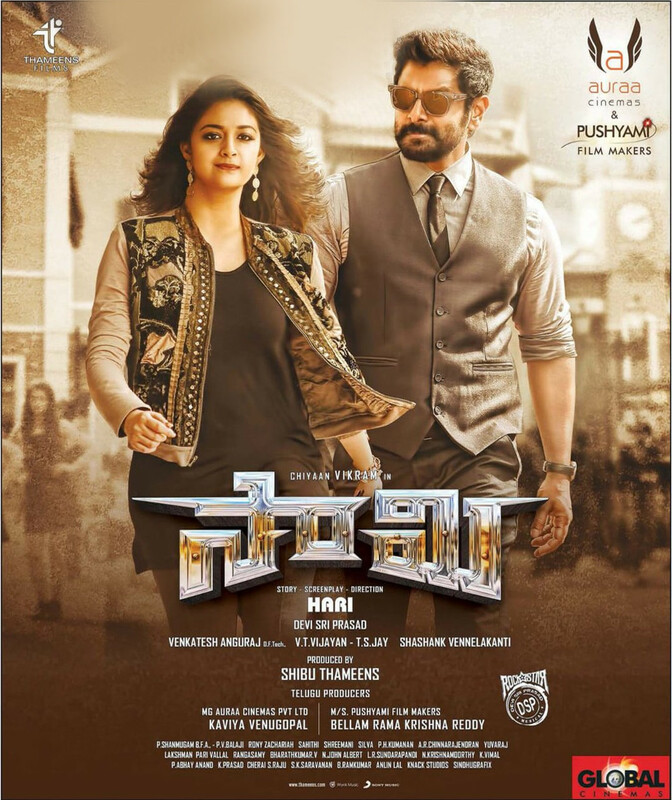 SAAMY ,vikram and keerthi suresh was acting together in this mass entertainer ,diractor hari was directing this movie ,he was well know director for this police action entertainer s ,in telugu also so this movie will be getiing a huge response from audience ,music was dsp and his music was ultiamte ,recently teasers and trailers are made movie in positive way. While The First Half Moves At A Brisk Pace With Several Mass Moments Thanks To Harris BGM Re-use, The Second..
Saamy` Is A Poorly Made Cop Drama Which Is A Literal Borefest. The Film Aims To Build On The Nostalgia Of The.. The Flavor In Hari’s Movies Is Missed Out.It Ruins The Memories Of The First Film. We Recommend To Do Not..
On The Whole, Saamy Is A Routine Action Drama That Has Nothing New To Offer. Vikram Comes Up With A Great..
First Half Fully Takes To Establish The Premise And Introduce The Characters And Soori’s Comedy Track In..